Effective presentation skills training provider Time to Market has opened the doors on its new centre for presentation training in Reigate, Surrey. Conveniently located in the city centre with ready access to the M25 motorway and the railway network the training centre is ideally suited to local business needs. Located in the centre of the town’s business district this new training centre is only two minutes walk away from the busy main railway station. Motorway access is also well supported with the M25 motorway (Junction 8) only half a mile away. The centre is ideally located to meet the training needs of Surrey-based enterprises and public sector organisations. Training suites are fully adaptable to meet a range of training requirements and course sizes. State of the art audio-visual equipment, airy rooms, catering and free parking makes this an ideal training location in the Surrey area. 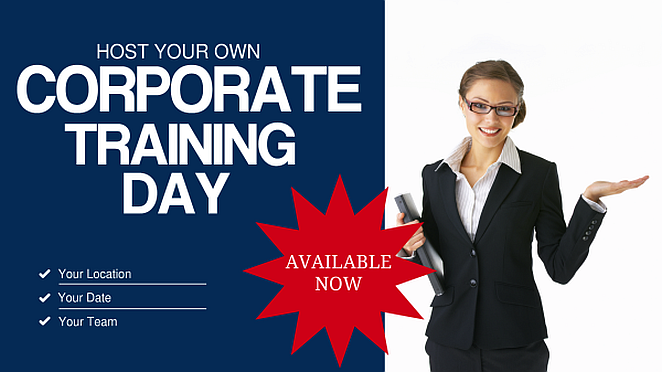 You can train to be a confident presenter with presentation training in Reigate. That’s because we offer a range of presentation skills training courses: for you, for groups, for full days or half days. And they cater for all abilities. You can train to be a confident presenter in Reigate. So you won’t need to travel far. Presentation training in Reigate includes full refreshments and lunch during the day’s session, expert help and advice and all the training materials you need. 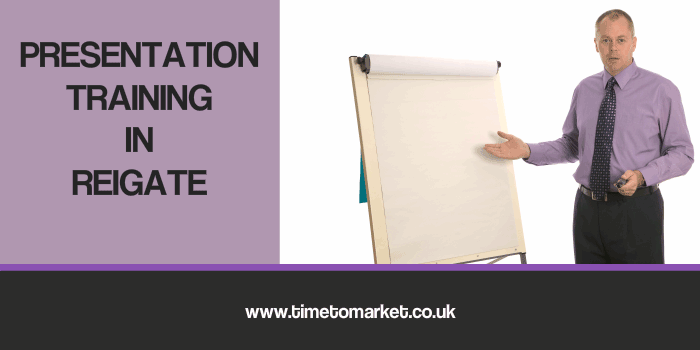 To find out how you can become a confident presenter and improve your presentation skills in Reigate, you can contact us now on 01344 859823 or email training@timetomarket.co.uk. Based in Oxford and operational since 2001, Time to Market is expert in providing presentation techniques and training. The company runs off-site seminars and presentation training courses throughout the United Kingdom and provides tips and techniques with its regular newsletters. PresentPerfectTM is a practical hands-on presentation skills seminar. Available in either a half day or a full day format the seminar combines one to one tuition, demonstration and individual practice. Open courses are available at selected venues for participants from any organisation. Course size is limited to six participants. Corporate presentation training courses are supported for participants exclusively from one organisation, on-site or off-site. All public training courses are held off site at specialist training centres.